Whether you're just visiting Oklahoma City or are a long-term resident looking to apply for your first passport, there are only three places in the city to complete the process in person: the Oklahoma County Courthouse, City Center Station, and the Reno-Meridian Post Office. A passport is a necessary document you'll need to have in order to leave the country and comes as either a book or a card. The book costs more and takes longer to process but is good for international air, sea, or land travel; the card, though considerably cheaper, does not work for air travel and is only valid for border crossings into Mexico and Canada as well as seaports in the Caribbean and Bahamas. If you're unsure which you need, check out this detailed explanation of the differences from the U.S. Department of State, and once you know which one you need, it's time to apply. 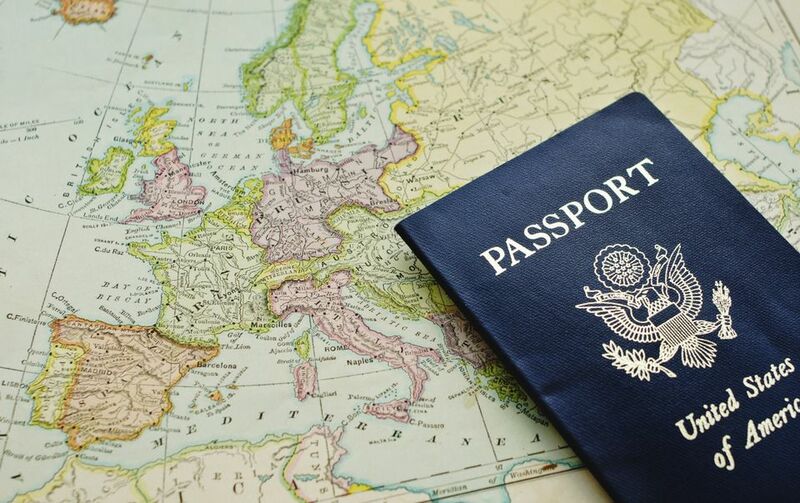 Your first passport application must be done in person, and you will need to go to one of the officially sanctioned passport acceptance agents to do so. For passport processing, you will need proof of citizenship such as a certified copy of your birth certificate (from state registrar's office) or naturalization certificate; proof of identity such as a valid driver's license, state or federal ID, or pilot's license; and two photographs of yourself taken within the last 6 months. The photographs themselves are a little tricky as they must meet certain specifications from the passport agency. Your pictures must be two-inches-by-two-inches with a clear, front view with full face visible on a plain, light background. You can get these taken at a number of places in the metro, including Walgreens, CVS, and FedEx Office locations. Adults, considered to be those 16 and over, must pay $135 for passport books while books for minors are $105 and cards cost $55 for adults and $40 for minors. Payments (only check, money order, or cashier's check) should be made out to the U.S. Department of State. In addition, the passport location charges an execution fee of $25 for all applicants, which is separate from the application fee and should be made out to the Oklahoma County Court Clerk's office. With all of those things prepared, you can submit your application for a passport. Applications are then mailed to a processing agency, and it will be about six weeks before your passport is ready. Passport book processing can be expedited by paying an additional $60 per person, which cuts the time down to about three weeks—providing two pre-paid overnight envelopes will cut the time even further. Keep in mind that school photos or snapshots won't be accepted, and the picture needs to have a light-colored background, and only a certified copy of your birth certificate obtained from the state or county will do—hospital birth certificates are not valid.